The tools and experimental systems that can be applied to the study of human immune responses have brought this field to the threshold of an unprecedented level of understanding and enabled new therapeutic interventions in a variety of disease states. Although many fundamental insights in immunology have emerged from studying animals models, critical differences between the immune systems of mice and humans have hindered the rapid translation of discoveries from mice to the clinic. The insights gained from studying the human immune system can serve to bridge the so-called gaps between clinical trials and discovery-based science, between human immunology and mouse immunology, and between translational and basic science. 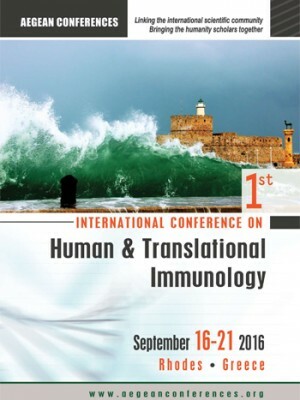 The goal of the conference is to bring together leaders in the field of human immunology to understand immune-mediated disease and immune defense, and promote the translation of such knowledge to the clinic. The conference covers the pathogenesis of immune-mediated diseases, the failure of immunity in chronic infections and cancer, vaccine development, the interplay between microbiome and immunity, and the translational application of advances in human immunology. The conference primarily focuses on the human immune system in the healthy steady state and its perturbation or failure in patients with disease. Animal studies directly examining the translational potential of immunological discoveries are also included in the program.